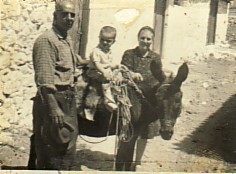 Above: My parents, Konstantinos and Maria, with their grandson, Konstantinos. 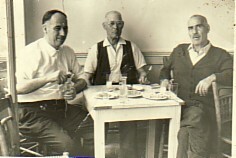 Above Right: My father, Konstantinos (right) with Odysseas Giannakis and Ioannis Zorzanis. 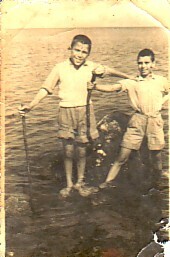 Above: With Christos Chrystofas (left). 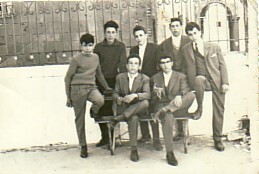 Circa 1956. 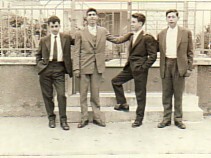 Above Right: With school friends, Efstratios Vafiotis, Miltiades Avagiannos and Konstantinos Koulmandas. I am second from left. 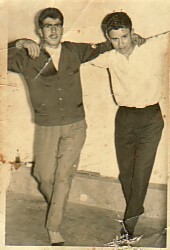 Above Right: With my friend, Miltiades Avagiannos.